They’re finally here: Amazon, Kobo and Google have joined veterans Saraiva, Buqui, Gato Sabido and others in Brazil’s digital publishing market. But all that journalists, consumers and publishers wanted to talk about was the price of ebooks on sale. They noted, with much chagrin, that while Brazilian ebooks are cheaper, they are not as cheap as expected. Carlo Carrenho, founding partner of PublishNews, calculated that out of the 64 books on the portal’s bestselling list and ebooks available on Amazon.com.br, ebooks are, on average, 36.2% cheaper than print books. Mr. Carrenho also estimated that digital books could be 40-50% cheaper than the printed versions, but publishers fear that by making ebooks much cheaper, consumers will migrate en mass to ebooks and abandon print books. Such a migration could mean the end of a small to average-sized publisher, since ebooks only account for less than 1% of the current publishing market. The price and discount details of the contracts between publishers and the new, giant etailers remain unknown. As long as the ebook market remains at 0.5% of total publishing in Brazil, publishers will continue to price their digital versions relatively close to that of their print books. Amazon will announce their flagship Kindle Touch e-Reader in the next couple of weeks. They intend to undercut the local market by offering their device for R$299 and compete against Sony and devices made by Positivo Alfa that cost triple the cost of the Kindle. Amazon is now in negotiation with major book publishers in Brazil and South America in general. These deals should be finalized by March or April. They are intending on opening up a physical place in that market as their base of operations. It looks like the online giant is poised to take complete control of another market due to lackluster competition. A recent report by Brazilian company Simplissimo in January, an estimated total of 11,000 e-book titles are available in Portuguese in Brazil. At present, Amazon offers about 3,800 e-books in Portuguese on its US site — a little more than half the number offered by largest e-book store operating in Brazil, Gato Sabido, with 7,300 titles, followed by Saraiva, with 6,000 titles. 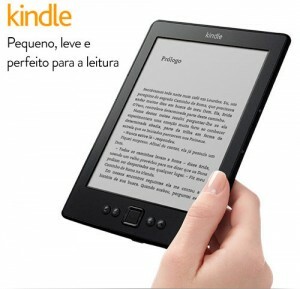 Amazon is making play for serious ebook distribution in Brazil. They are rumored to be launching with around 20,000 different digital titles. It is not expected they will physically sell books and have them delivered due to the local market.